One kind word, look, or act can change someone's day. With the negativity penetrating the world these days I have decided that we are going to do our small part as a family to make a change. Have you ever had someone do a simple act of kindness for you that turned your day around? Your week? Your month? One Sunday afternoon a dear friend decided to drop off a plate of mint brownies at our house. She just thought it was a nice thing to do. She had no idea that I had had a tearful afternoon with kids screaming and frustration and sickness and fighting. I had felt completely overwhelmed and ready to go hide in my bathroom with a bag of whatever chocolate was the closest. 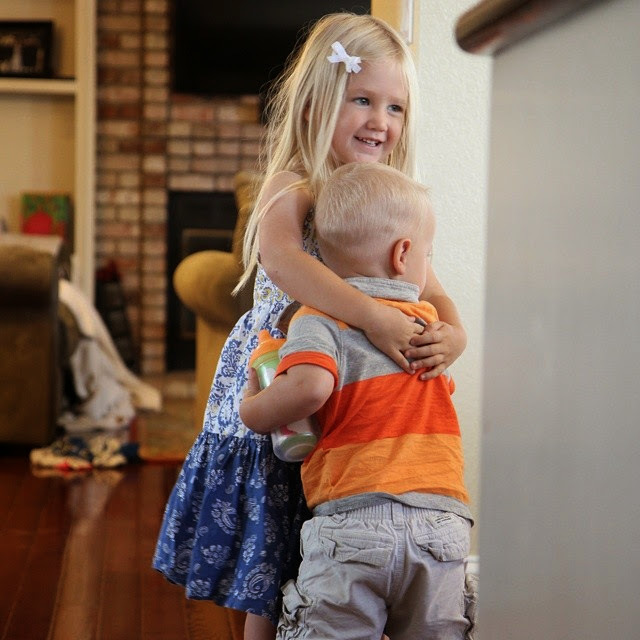 Her arrival shifted the mood in our house. Chocolate cures everything, right? :) Her sweet presence was enough to cheer up my grumps and her happy enthusiasm (especially considering she had some of her own family challenges going on right then) reminded me that I could survive these little crazy moments and bring joy and happiness to our family with MY attitude. Kindness is contagious. Kindness can have a ripple effect that can go beyond our homes, families, and even our communities. Dr. Martin Luther King Jr. was just one person. His influence has shaped the lives of millions. I like to think of people like him when I am feeling frustrated and angry and overwhelmed in my little sphere. I try and remind myself to choose joy and choose kindness. There is too much hate in the world already. This week we are focusing on kindness for our Weekly Virtual Book Club for Kids and we are reading (affiliate link) The Lion and the Mouse by Jerry Pinkney. We also kicked off our 100 Acts of Kindness Challenge along with it. To get started we are talking about simple acts of kindness that you can do daily at your house! 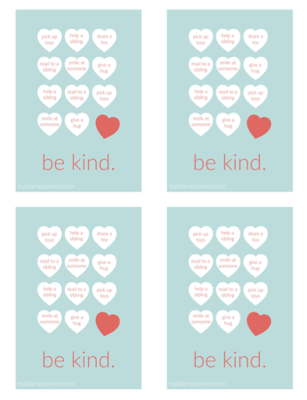 We made a simple bingo game so as kids do each act of kindness they can color in a heart. 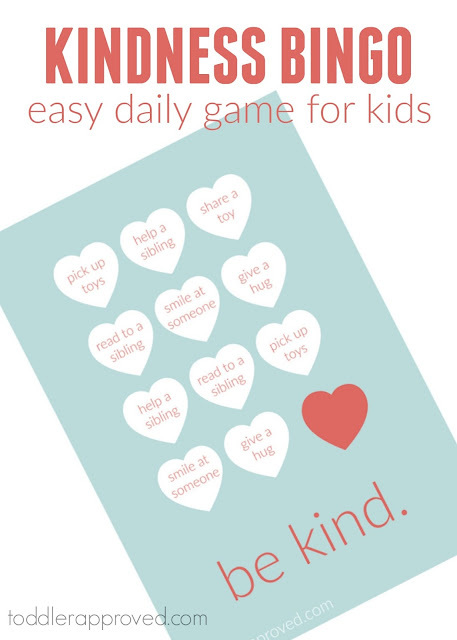 Teaching kids about kindness in simple ways through games is such an easy way to introduce the topic and have fun while you are doing it! 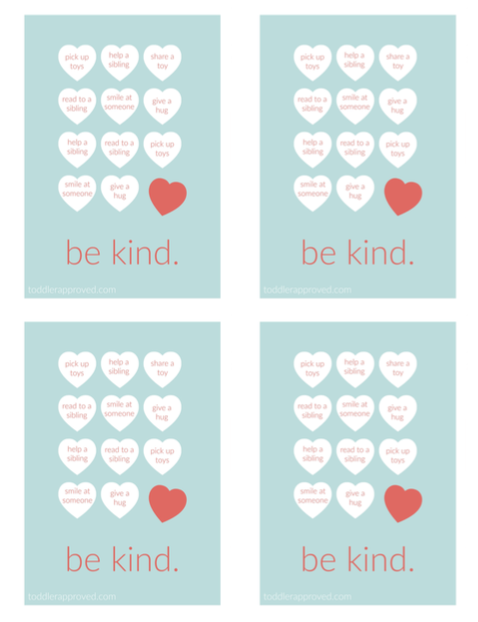 Just print out and cut your kindness cards. Then give one to each member of your family. As they accomplish one of the acts of kindness, have them color in the heart. Once they've filled in their card give them a big hug! 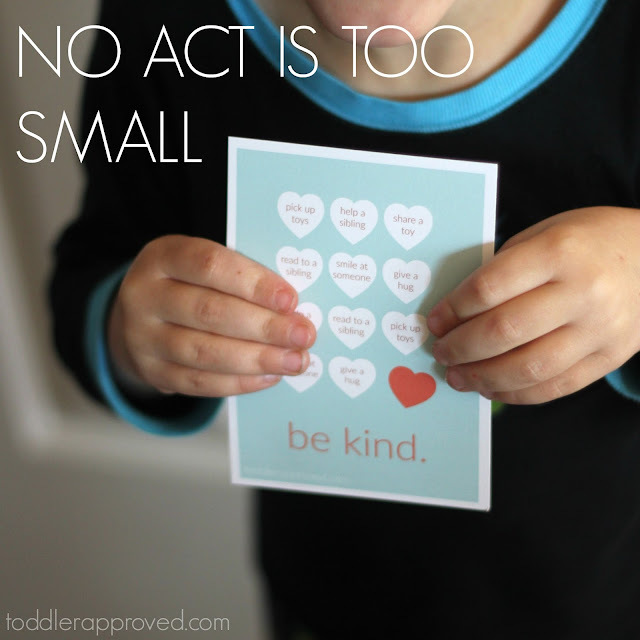 If you're keeping track of the number of a acts of kindness you do for the month then add them into your tally. Here are just a few ideas if you want to make your own blank card. These are daily acts of kindness that you can repeat again and again. They will make your home such a happy place this month! Have any others you think we should add? 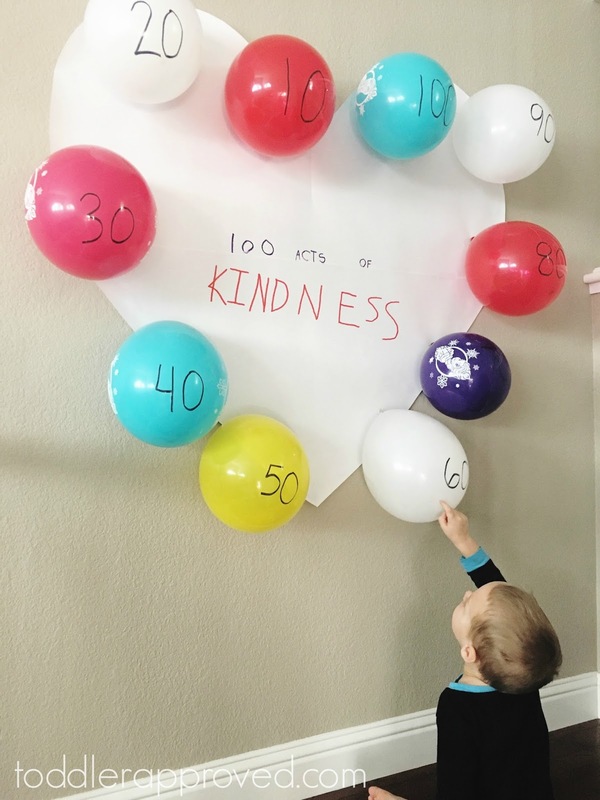 We are keeping track of our 100 acts of kindness using a giant balloon heart countdown! The kids are so excited about it and so am I! Hopefully we'll get to pop our first balloon today! If you plan to join our challenge this year, rush over and join our 100 Acts of Kindness Facebook group so that you can stay in the loop and see the fun things we have in store for you this year! 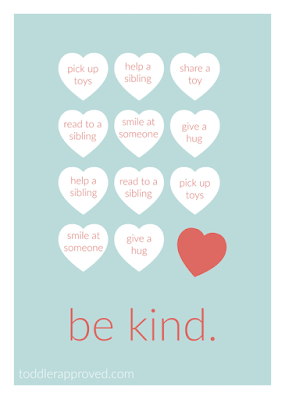 Our Weekly Virtual Book Club for Kids co-hosts are sharing some other fun kindness themed activities to try this week. Check them out below!